Learning about electronics with just paper and pencil only goes so far. Eventually it’s really nice to get your hands on actual electronic parts. It used to be that if you were near a mall, you could walk into a Radio-Shack and come out with electronic components. If you’re more fortunate, you can also get a good selection from a Fry’s Electronics. I got an electronics kit, aptly named “Electronics Fun Kit”, as well as a few extra breadboards. I’ll use this to stage workshops and other posts on this site. 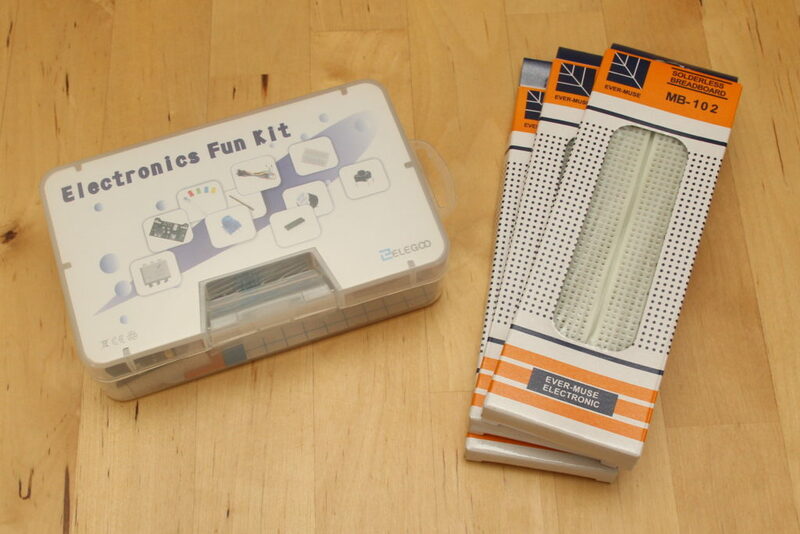 As well as introducing electronics to our kids as part of Science. Amazon is an almost-universally accessible online retailer, hence the vendor of choice today. Other sites like DigiKey are quite good, but are also easy to get lost for a novice. The 3-pk of Elegoo MB-102 Breadboard (https://amzn.to/2KMb530) is as expected for a breadboard. 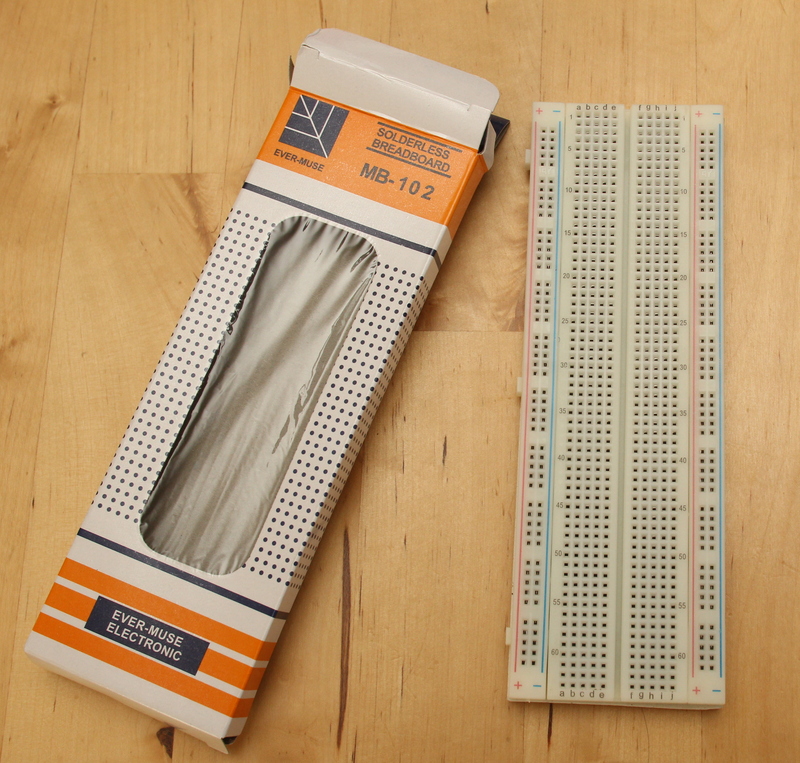 A breadboard is an easy electronics prototyping platform for through-hole components and solder-less wires. When I ordered it, I wasn’t sure of the included power board and thought it’d be rubbish. But in checking it out, it looks to be a convenient USB-to-Power supply with an ON/OFF switch to boot! 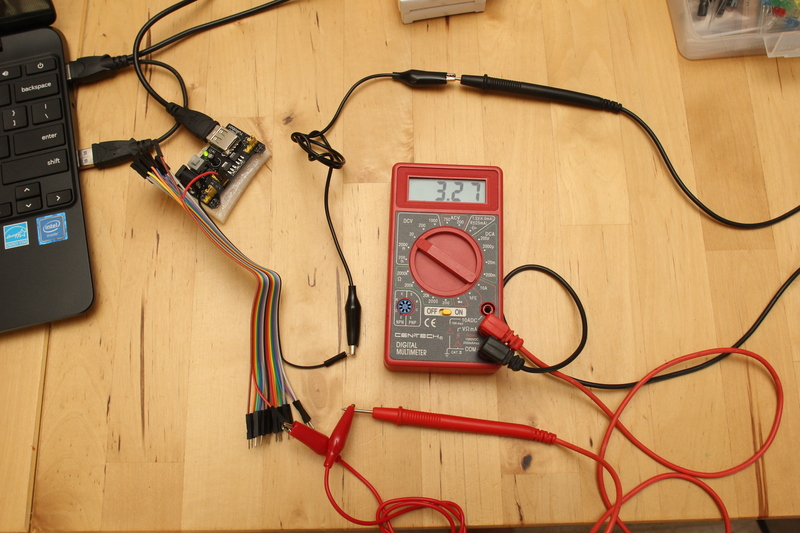 Here the board is taking in +5 VDC from a USB port, and outputting ~3.3v. The board also accepts input power from a DC barrel. Having this board available makes it easier to power a circuit without calling out a separate regulator circuit. I’ll have to check the specs on the on-board regulators (there’s no documentation) but conceivably 4 AA batteries(6V) could be rigged thru a DC barrel or USB plug for untethered operation. 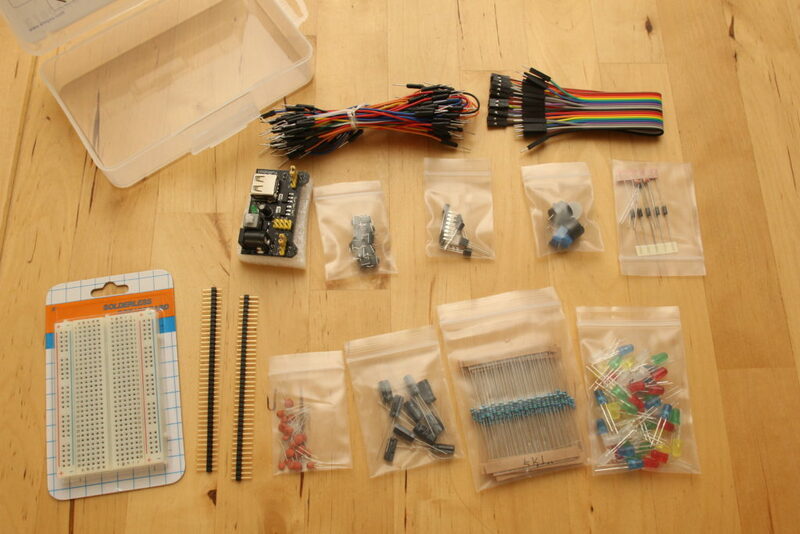 All in all, this looks to be a promising startup kit, for about $20 for the kit and extra breadboards.